A maternity hospital in Canada lowered their cesarean rate by 21% in just six months and then gave up trying and let it rise again. Gloria Lemay in Pathways 56 shares the four things the hospital worked to change that they determined were leading to too many cesareans. Hospital admission before active labor. Epidural placement before 8 cm dilation. Induction without medical necessity before 41 weeks. Working to avoid these pitfalls was hard. Providers sabotaged the study after they became annoyed by the attempts to change their practice. To make it harder, laboring women were likely to have requested the pitfall procedures. 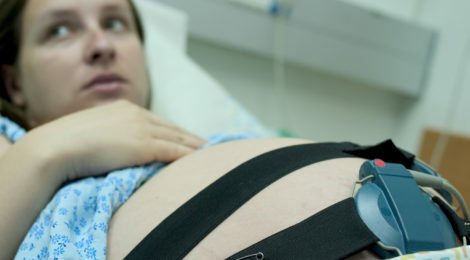 After all, how many of the laboring women knew the dangers of being admitted early, of electronic fetal monitoring, early epidural, or early induction? How much true informed consent happened at this hospital, I wonder? How much happens on an average day in an average maternity ward? A patient can only give informed consent if she is actually informed. Being informed doesn’t mean being told what the doctor is going to do. It means you understand your situation and you know the risks, the benefits, the alternatives, and why your provider thinks this is the right choice. Informed consent is a long discussion between the provider and the patient that ends in the patient agreeing to go along with what the provider recommends. True informed consent means having a long talk. Doctors and hospitals are pressed for time by the nature of business and insurance. They have to see so many patients to bring in money at a certain threshold. There’s often no time for a long talk. That talk is imperative for saving birth and lives. Providers may not be able or willing to change the system in which they practice. Consumers, on the other hand, can leave the system by finding out-of-hospital birth, or demand evidence-based care within it. My argument is that we can lower the cesarean rate considerably by decreasing consumer demand for the very procedures that so often lead to cesarean. The cesarean rate will be naturally lowered when families sufficiently understand the value of staying home until active labor, waiting longer for an epidural, avoiding EFM, and waiting until 41+ weeks for an induction. This happens through education. And if the providers aren’t willing to offer it, we must make it readily available outside that sphere. A hospital could dramatically reduce it’s cesarean rate by offering a one day class about how to avoid a cesarean. And of course, they could flood the internet and birth spaces with evidence-based information and empowering content for a change. We can lower the cesarean rate dramatically through consumer demand. It starts with information in the hands of the people. Lauren is a childbirth educator (Birth Boot Camp) and the author of the Breech Baby Handbook. She owns Better Birth Graphics, a shop full of practical, intuitive birth media for professionals. 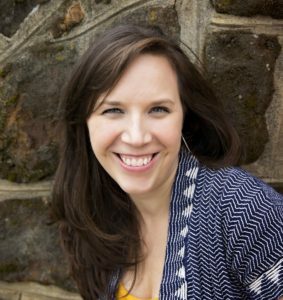 Her work has been published in Mothering, Holistic Parenting Magazine, Birth Issues, True Birth, Mama Birth, and elsewhere. She lives in Maryland with her family of five.